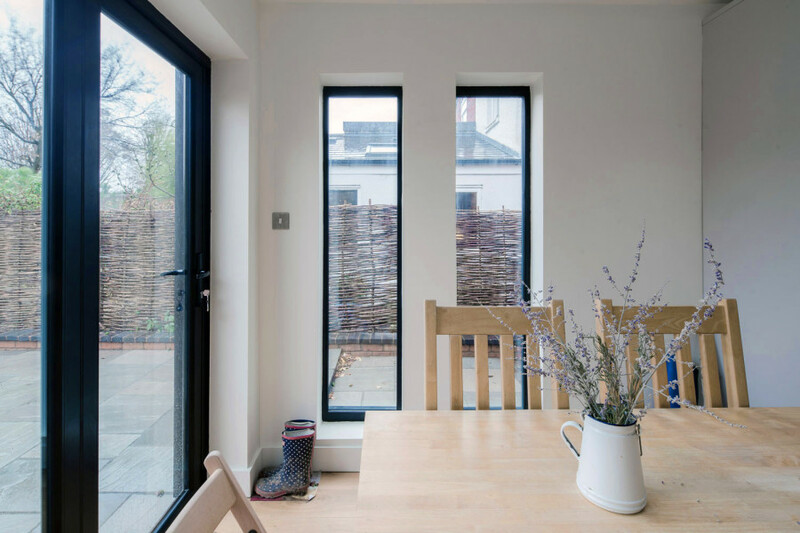 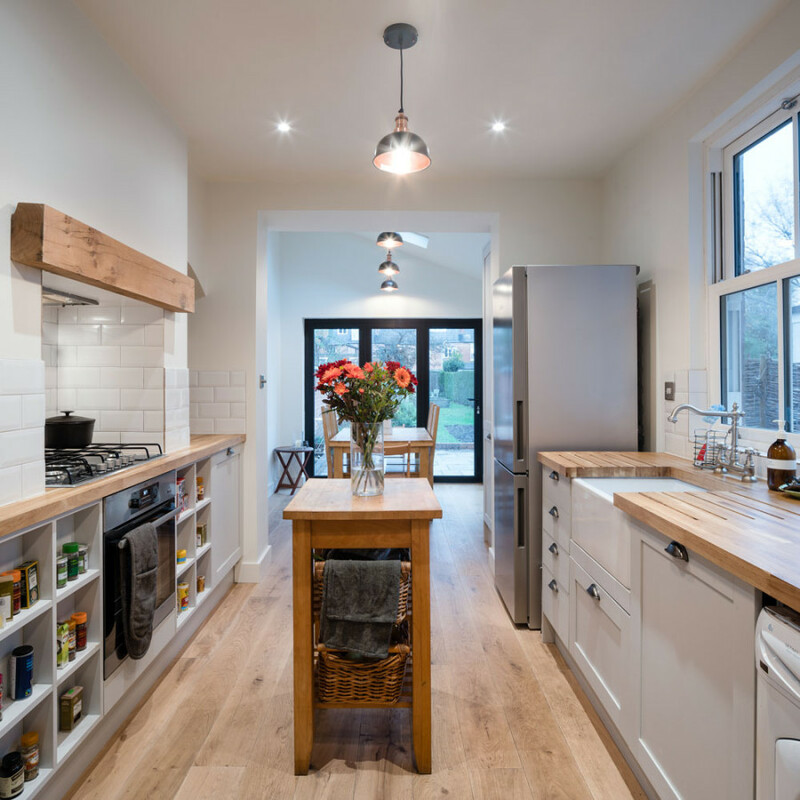 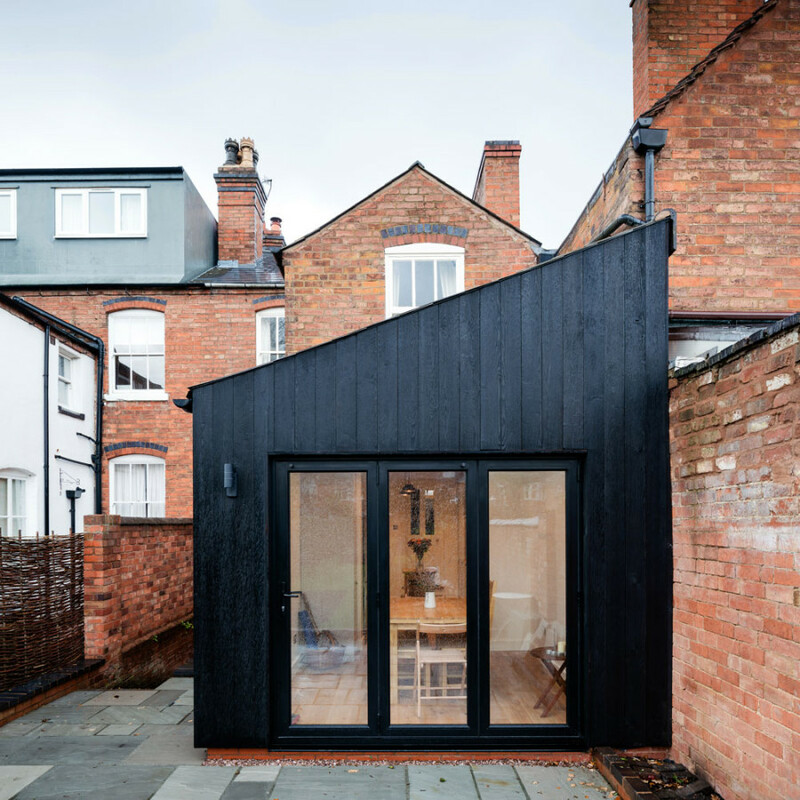 Intervention Architecture have recently completed refurbishment and interior works to the rear of an existing terraced house in Birmingham, UK, which comprises of the removal of internal walls and floor, to create an open plan kitchen/diner. 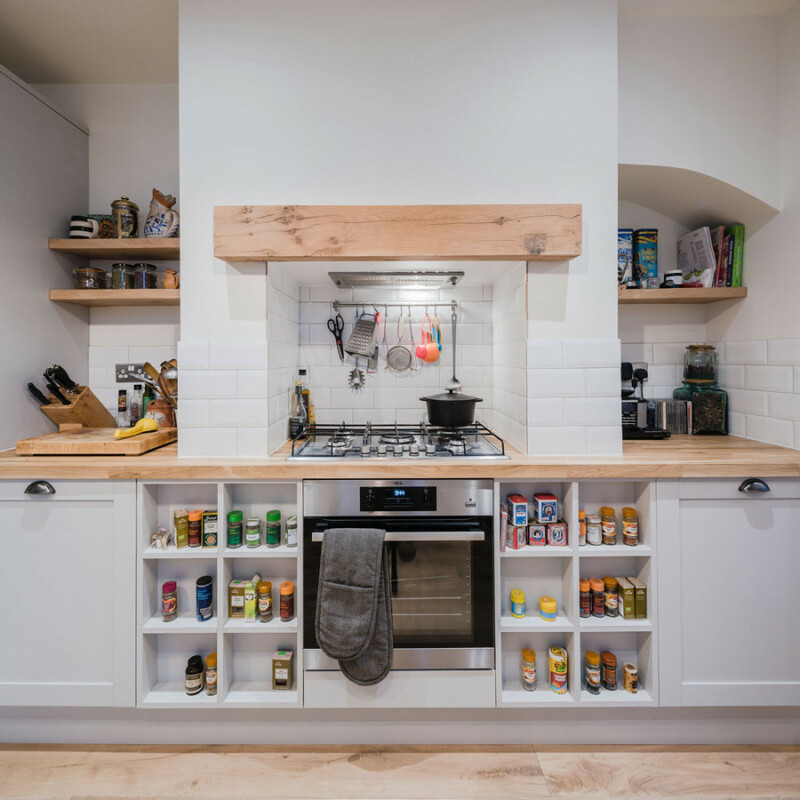 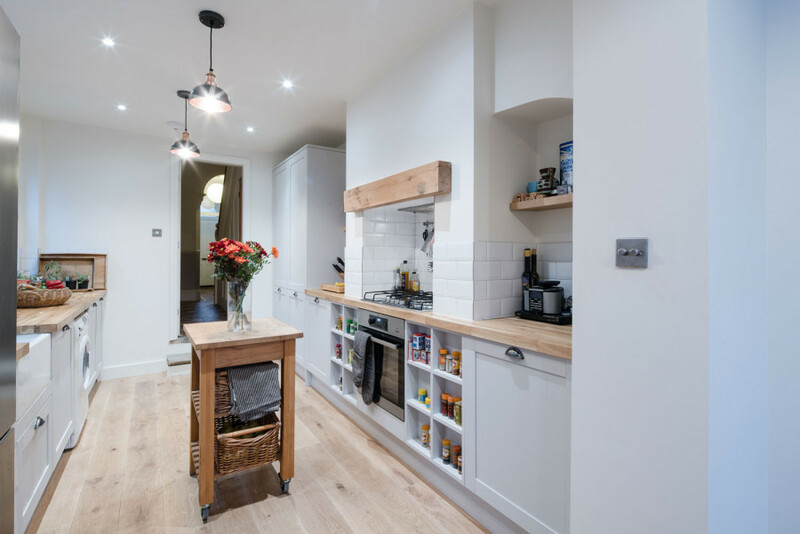 A new kitchen was designed to reference a heritage shaker style, with moveable butchers block on wheels central to the space, and an existing fireplace re-purposed as a hob/oven location. 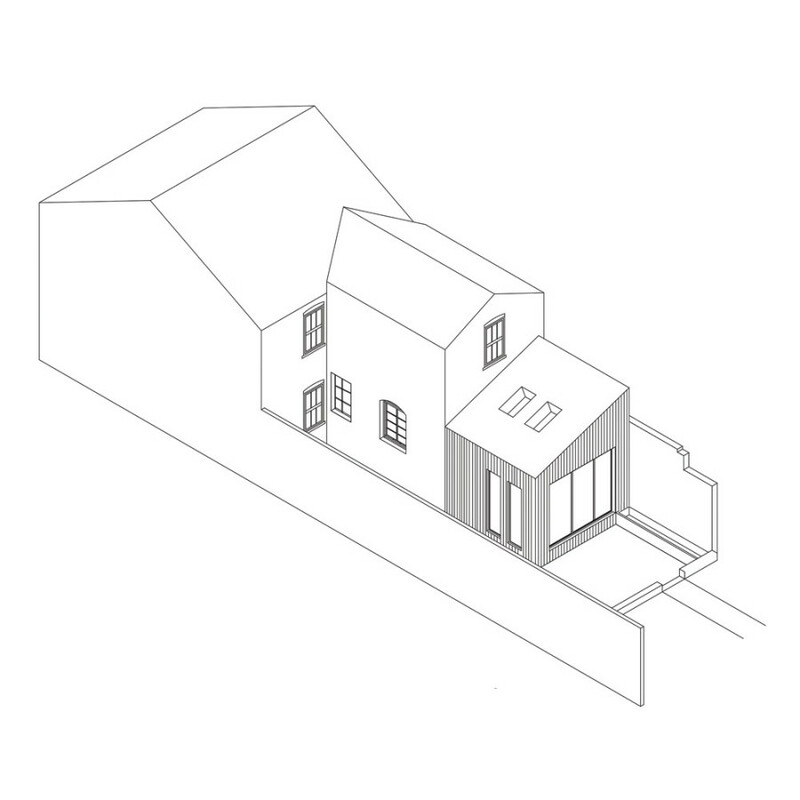 The extent of the space was increased by gaining area back from a hall recess, and reusing steps down into the area. 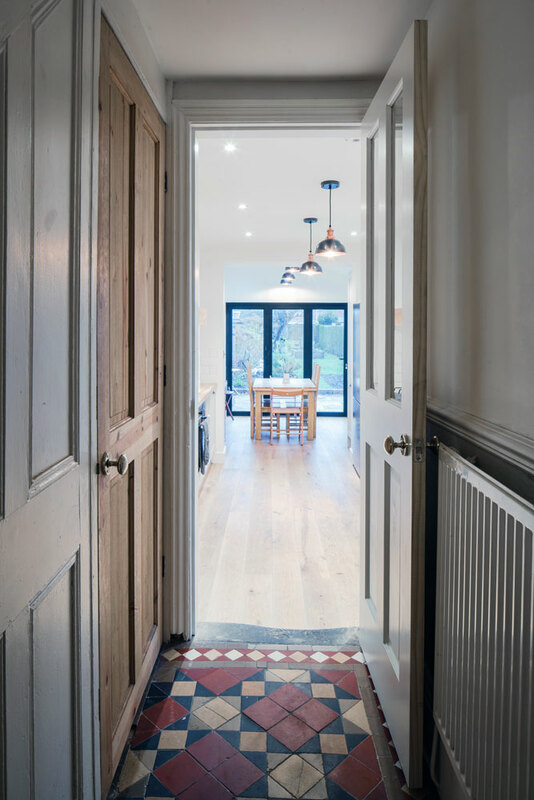 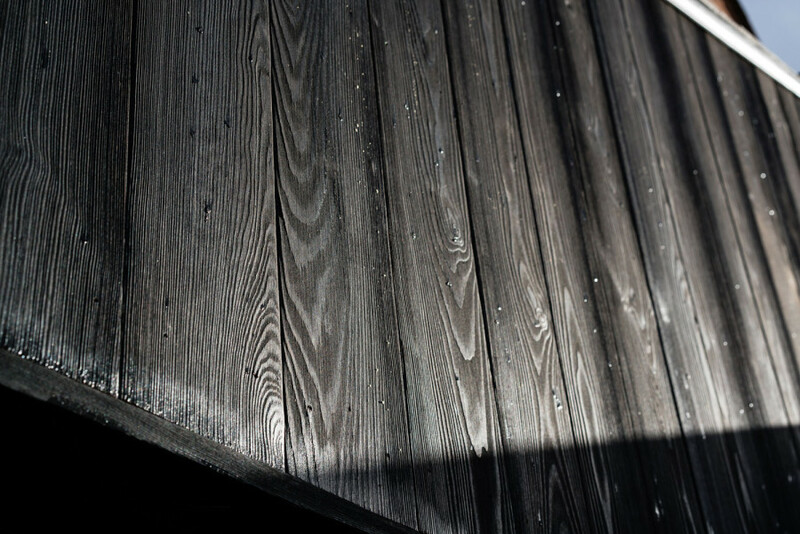 The new floor finish of oak floor boards harmonises with a solid oak worktop, and underfloor heating throughout maximises space. 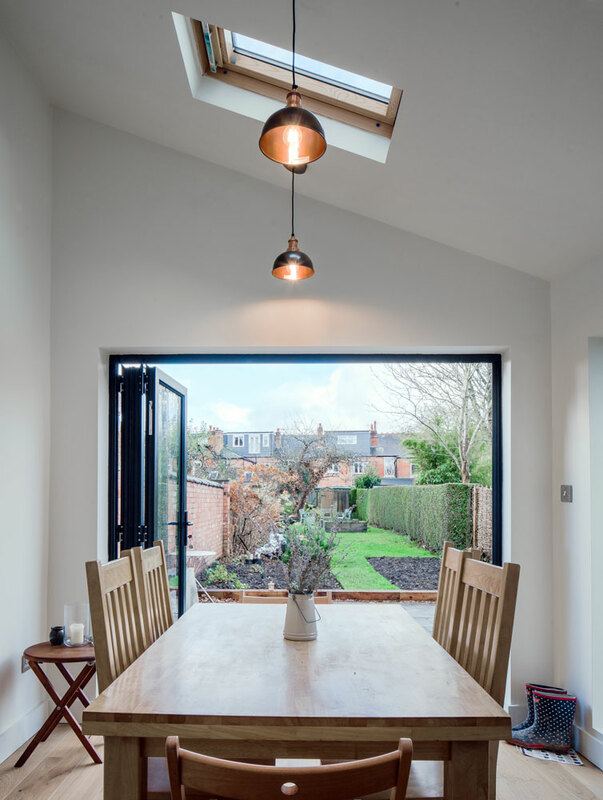 To the existing building envelope, existing small aperture openings to the garden were enlarged, to create full height aluminium framed doors, to enhance a view to the garden and light entering the space. 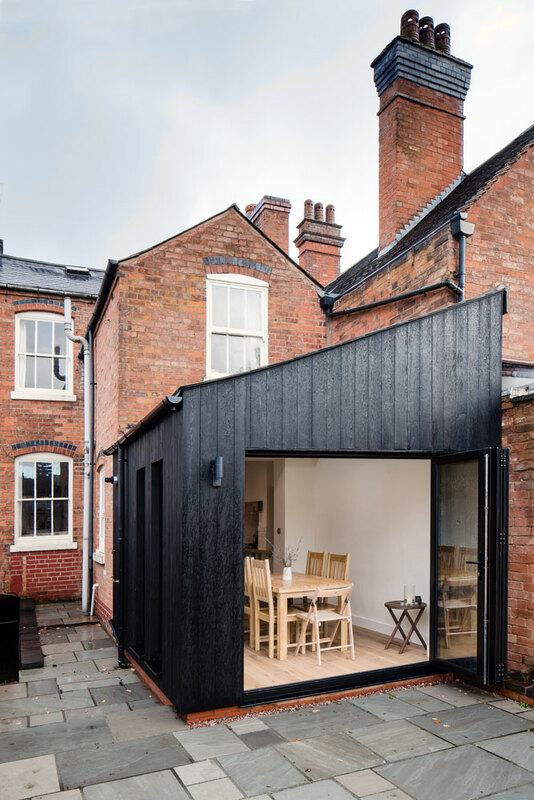 To renew tired and non-original brickwork to the outbuilding, a covering was proposed in charred timber, to clad a zone for eating and drinking tea, overlooking a repaved terrace of Indian limestone.